Here at St Albans Round Table we support local causes with the donations we collecttion during our famous Christmas Float seasons. As such we always keep an eye out for occasions when we can give our support. We were pleased to come across the ‘Honours Board’ for the brand new St Albans Museum which is being built right in the town centre as we write this article. We are therefore very pleased to announce that we made a £500 donation today to the new museum and will find our name engraved on one of the honours boards for future generations to see. We think this is a great idea and memento and if you would also like to donate we are sure the Museum’s Trust is only too pleased to receive your donation. 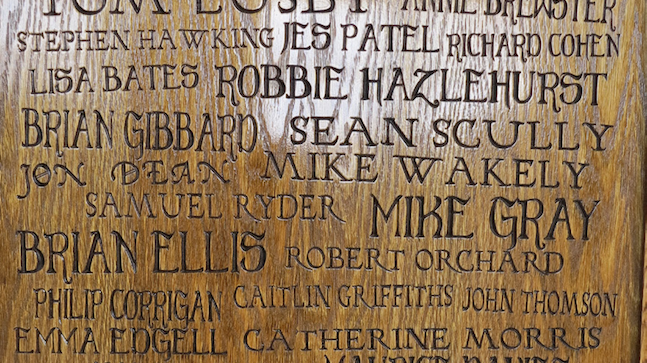 But you have to be quick – closing deadline for a donation and engraving is 2nd January 2018!